The offered assortment of quality products is a result of complete quality inspections done at varied stages of sourcing raw material, which plays a vital role in delivering the finest products. For the convenience of the clients, we have adopted safe and secure payment gateway that helps us in the attainment of complete client satisfaction and maintaining transparency in dealings. 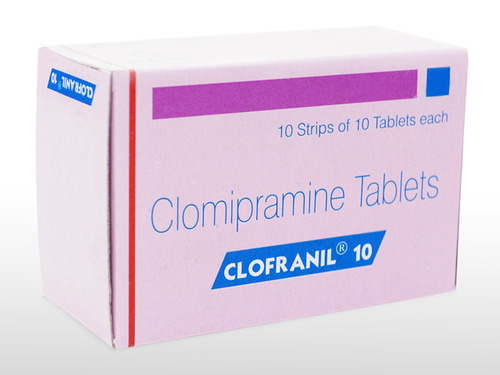 Details : Clofranil (Clomipramine) is used to treat depression. Clofranil is also used to treat obsessive-compulsive syndromes, phobias, panic attacks, muscle weakness in people with a sleep disorder called narcolepsy, and chronic painful conditions.